House Radio is a free internet radio app for Windows 10 which features a lot of radio stations of the house genre. Mixcloud is a free iPhone app which lets you to listen to the radio shows, DJ mixes, and Podcasts of various DJs from around the World. 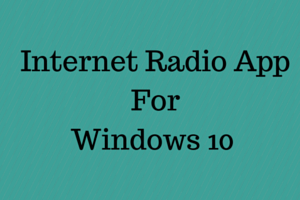 In this list, we talk about 5 Internet Radio apps for Windows 8 that are definitely worth checking out. Read more to find out about these great apps! iTube Radio is free Android radio app to listen to songs using wifi or internet. Automatically saves played songs on the phone to allow offline playing. N-Frequencies is a free internet radio station app for Windows 8 devices that allows you to listen to large number of internet radio stations. Get it free. Free Internet Radio App For Windows 8: Radio Now! Radio Now! is a free internet radio app for Windows 8 with an extremely beautiful interface. It contains radio stations of many genres. Get it free. RadioSlick is a free internet radio app for Windows 8 that allows access to over 5000 categorically sorted internet radio stations. Get it free. 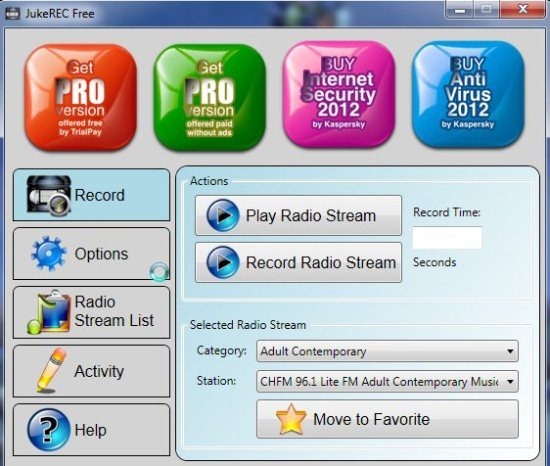 Radioz is a free internet radio manager for Windows which you can use in order to manage and stream a large number of built-in radio stations. App Radio is a free Windows 8 internet radio app that allows you to browse through and listen from hundreds of internet radio stations. Get it for free. Radio Paradise is a free Windows 8 Internet Radio player app that allows you to tune in to a huge online collection of songs of various genres. Get it free. 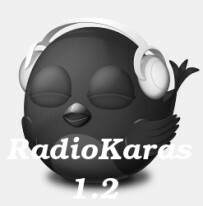 RadioKaras is a free radio player for Windows that helps to listen to online radio stations right from desktop. 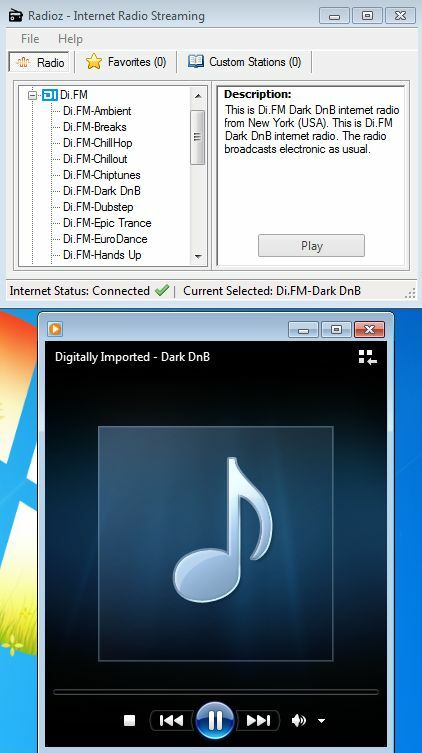 Easy to edit or add more radio stations. 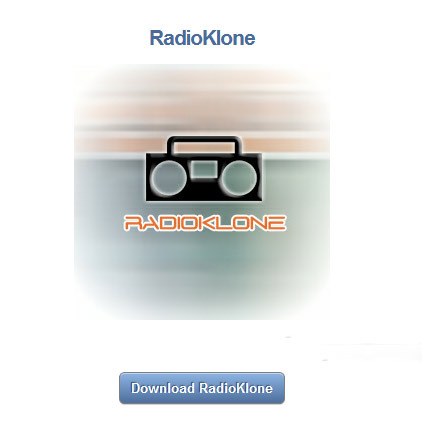 Radioklone is a free software for internet radio streaming and recording radio stations that are broadcast over the internet. Download free. 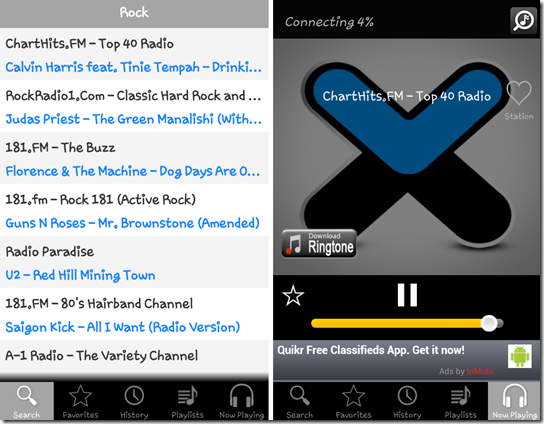 Here are 5 Free Radio Apps for Android to listen your favorite radio programs anywhere, anytime. Install Radio Apps for Android Free. JukeRec is a free radio recording and streaming software to record & stream audio from Internet Radio Stations. Download JukeRecFree.